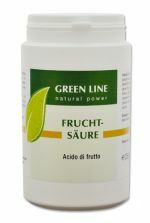 Fruit Acid Mix A carefully combined solution of pure, food quality citric acid, tartaric acid, malic acid quickly and gently decalcifies coffee machines, steam irons, dishwashers and washing machines without leaving toxic residues. With our Eco-Clean Decalcifier you can remove calcareous deposits (urinal residue) in toilets, wash basins, baths, showers or on plumbing fixtures, etc. effortlessly and without toxins. Combined with our Eco-Clean All Purpose Cleaner you can produce an excellent sanitary cleansing agent for tiles and all bathroom and toilet fittings in a flash.